StageBuzz.com: FRIGID New York Interview - Shannon Holmes of "The Crook of Your Arm"
FRIGID New York Interview - Shannon Holmes of "The Crook of Your Arm"
Shannon Holmes is a singer, actor, director, Doctoral Researcher, educator and artistic director of SoMo (Sound In Motion) Theatre, a multidisciplinary theatre company based in Montréal, Canada, dedicated to the creation of interdisciplinary performance that explores the intersection of singing and speech. Shannon received her BFA in Theatre Performance with a Minor in Music from Concordia University and her MFA in Interdisciplinary Arts from Goddard College. She is currently pursuing a PhD at The University of Birmingham, UK, in Theatre and Drama Studies where her research includes the development of improvisational practices as a process towards performance and the theoretical exploration of the connections between the lived body and voice. 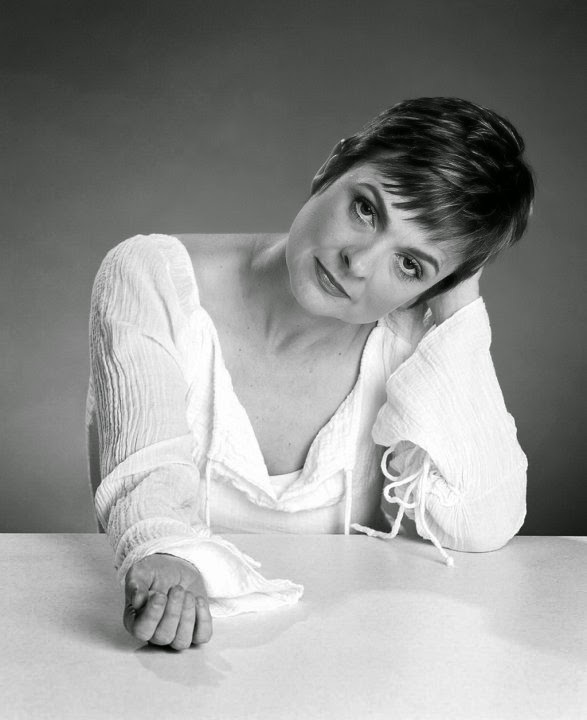 As a performer, Shannon has worked for over 30 years as both an opera singer and an actor. Shannon is currently part-time faculty in the Theatre Department at Concordia University in Montréal, having previously taught at Capilano University in North Vancouver BC. She is an associate teacher of Fitzmaurice Voicework®. Intertwining the music of Kurt Weill and the personal narrative of a daughter’s mission to find her Mother’s underwear, talk about “it” and negotiate a family crisis, The Crook of Your Arm is intimate, moving and humorous theatre that lives in the cracks between opera, cabaret and music-theatre. The story of my parents and their struggle to come to terms with my Mother’s Alzheimer’s disease emerged as I was doing some in studio research into somatic vocal methods that span the singing and speaking voice as part of my PhD studies. Writing this show was a bit of an accident. I was doing some improvisational voice work at Pantheatre in Paris, France last March and using the Kurt Weill song “Je ne t’aime pas” as material. I started to realize that this song, which on first take is about sexual betrayal was actually far more complex and could just as well be about the many forms that betrayal can take. At the time my Mother had just been moved into a care facility because she was suffering from Alzheimer’s disease, and I was so struck at how much she was being betrayed by her mind. Physically she was (and still is ) in good shape, but her mind has betrayed her. I went on to workshop and develop the piece further in London UK in August of 2014 during a workshop for voice teachers. In November 2014, I did a work-in-progress showing in Montréal. I am very excited to be working with Molly Arnoson, a brilliant local (NYC) cellist. Kaitlyn Raitz the cellist I worked with in Montréal was unable to come for the festival and recommended her college roommate Molly. Anyone who has had to look after ageing parents I think will relate very well, but it speaks to anyone who has faced communication difficulties within a family unit, which seems to be quite a universal issue. I trained as both an opera singer and an actor so my influences are pretty diverse. In opera I loved the Canadian soprano Teresa Stratas, and am a big fan of Dawn Upshaw as well. In theatre I see Robert Wilson as a true visionary, Robert Lepage never ceases to amaze me, and I love Laurie Anderson- she is so inventive and fascinating on stage. I am also a huge fan of The Wooster Group and Elizabeth LeCompte. Whiskey Pants: The Mayor of Williamsburg, Everyday Edna Mae, Shirley Grome, Real Mature, Hey 90’s Kids, You’re Old… for starters! Besides trying to finish my PhD, I am looking to take The Crook of Your Arm to the UK. Current show you would love to be involved with? It hasn't oped yet but The Wooster Group’s Early Shaker Spirituals looks really cool! Your dream show to be involved with? The Black Rider: The Casting of the Magic Bullets, I mean really?! Tom Waits, William S. Burroughs AND Robert Wilson?! Your best theatre experience? It sounds corny but truly, there is nothing more satisfying than a rehearsal where hours have been spent playing in the studio and all sorts of lightbulbs have gone off and you feel like you might just have created something truly meaningful. Your worst theatre experience? I was 14 years old and playing Jill (of Jack and Jill) in a community production of Babes in Toyland when the set began to fall and Jack and I had to struggle to hold it up so it would not crush Bobby Shaftoe, Simple Simon and Boy Blue. Person you’d most like to thank for getting you where you are today? My husband, Gus. We have six children and he has to jump in and take over the running of the household solo in order for me to be doing this work. No easy task. I am grateful. For more about "The Crook of Your Arm," visit the FRIGID New York website.